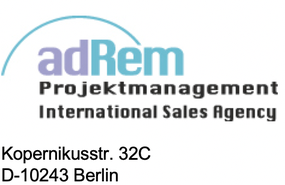 adrem Projektmanagement’s distinguishing characteristic is the interconnection of analysis and implementation. This does also apply to Marketing and PR. Hence, we for instance offer the competent creation of holistic marketing actionplans. Thanks to our excellent networking with opinion makers, especially in the Food Service sector, we are able to guarantee the right information to be placed at the right time and at the right place, to be received and discussed. Our contacts range from WACS, national culinary associations, culinary teams, top chefs and top instructors to gastronomy critics and the most influential specialist magazines and press agencies.